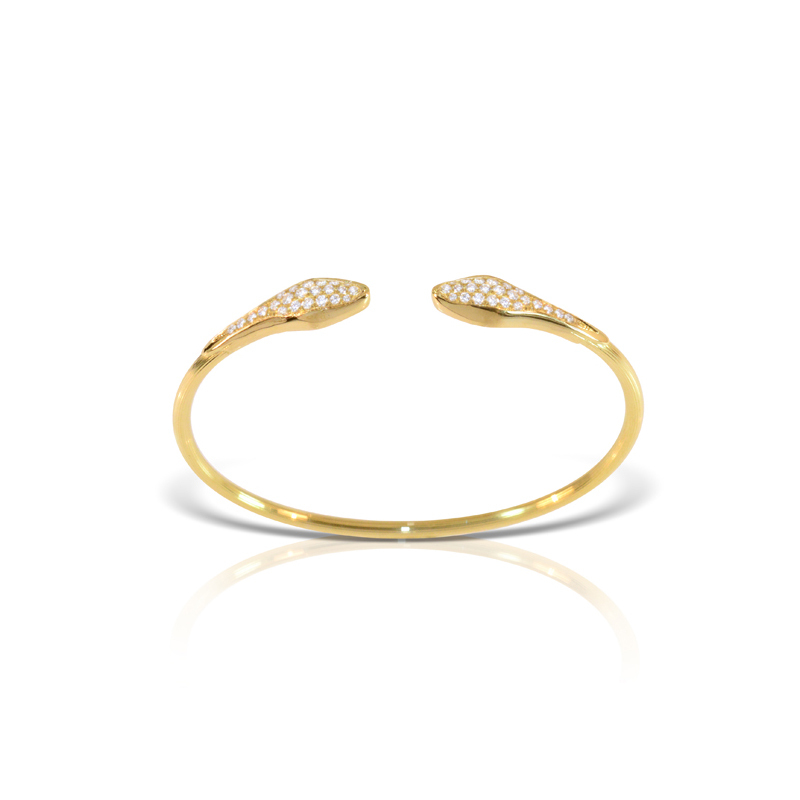 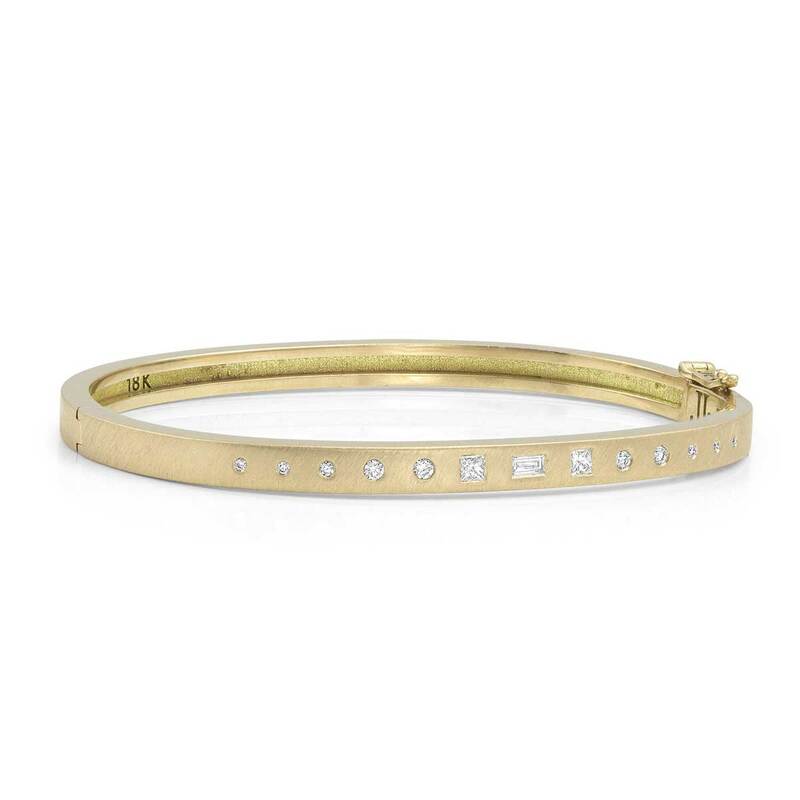 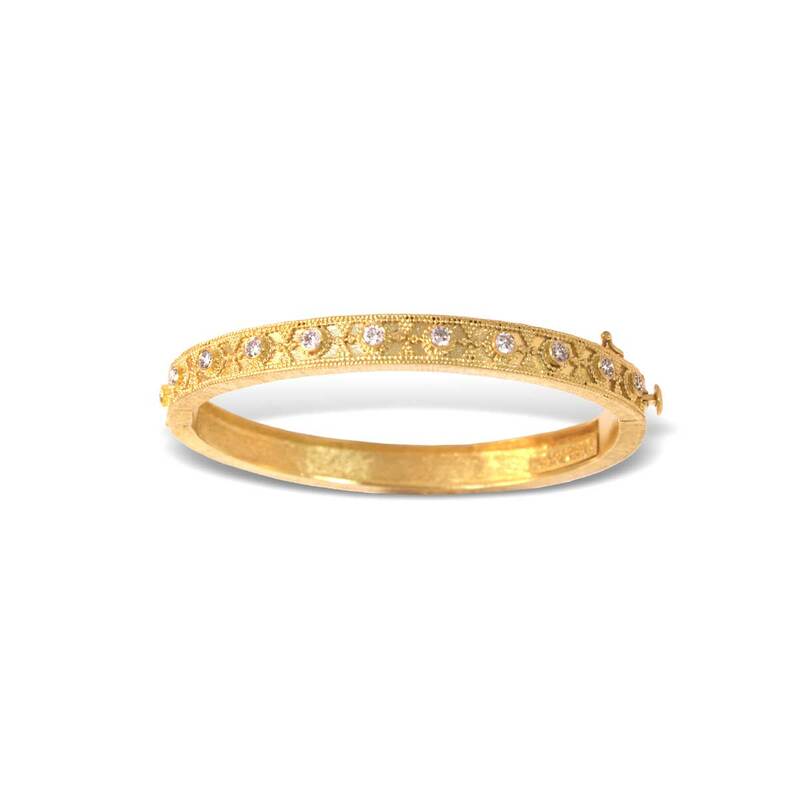 A spectacular bracelet to wear alone or with other bracelets, this 18K gold bracelet features a row of diamonds set on one side with granulation on the other. 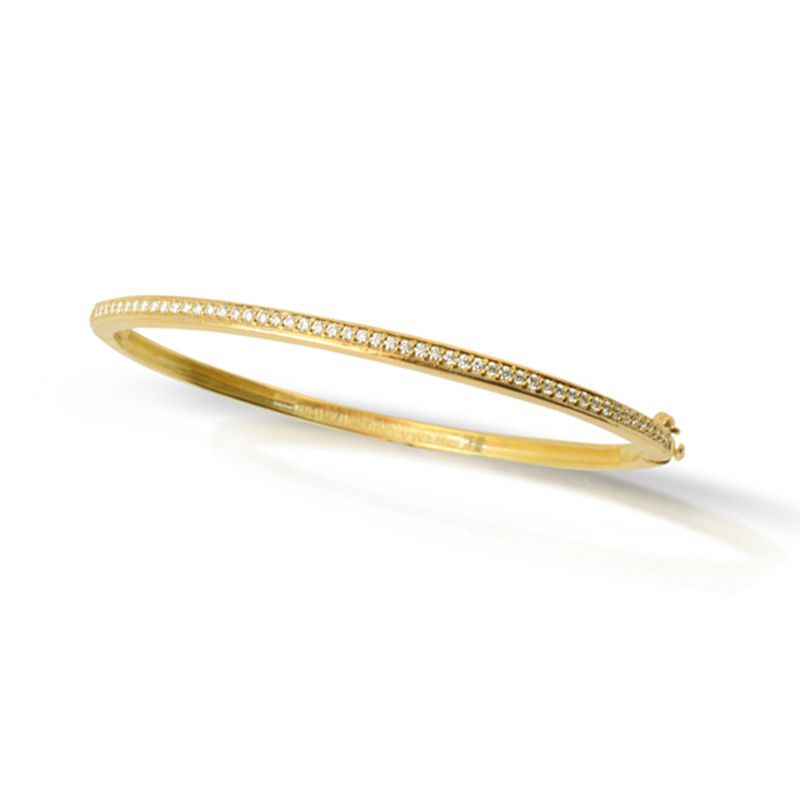 Handcrafted in Greece. 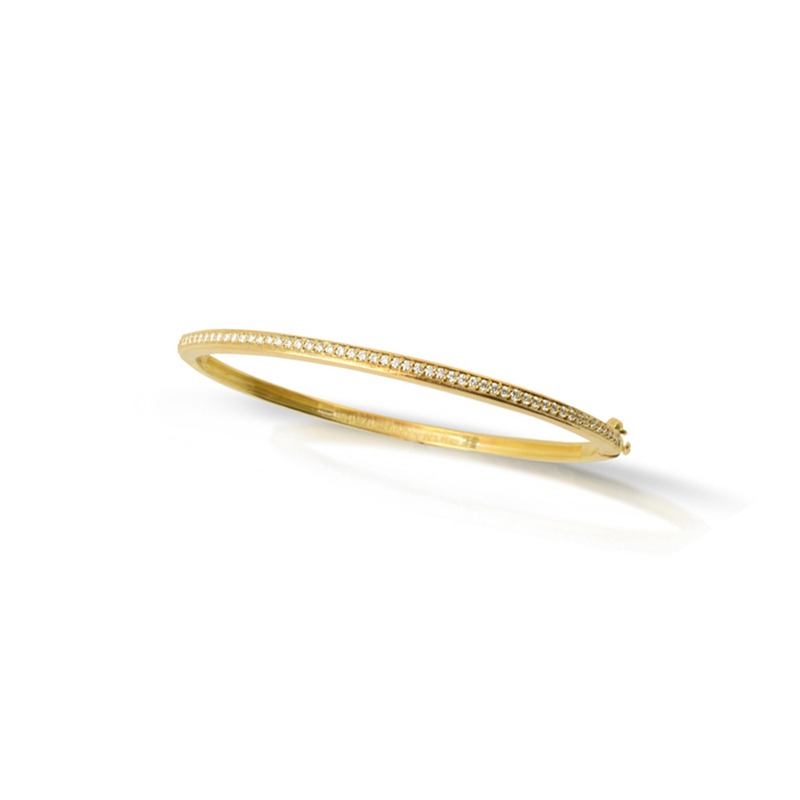 0.38 ctw diamonds. 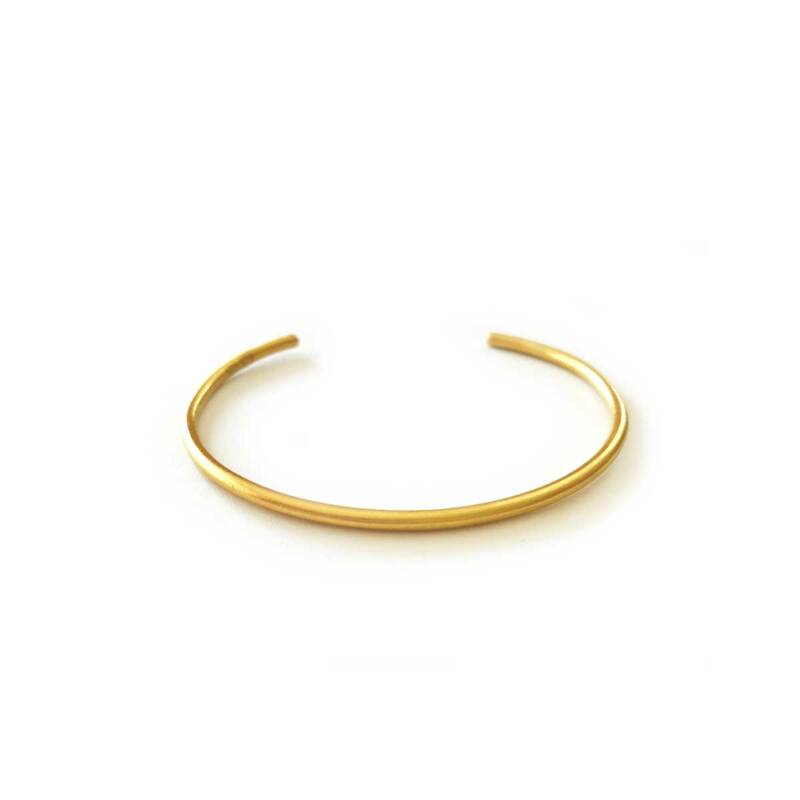 A standout classic for everyday, this is one refined bracelet everyone should have in their jewelry wardrobe.